Niche websites hold an important place on the internet. Sure, there are some really popular sites that cover a huge variety of topics; Lifehacker, for example, gives tips for everything from cooking to pursuing your life’s passion to useful things you can do with twist ties. But having a tightly focused site that appeals to a small audience in a specific niche can be very rewarding (and profitable). Getting to that point, however, is difficult. So we’re going to take a look at how you can get started. We’ll talk about why niche websites are so important, why they’re difficult to monetize, and how you can turn your niche site into a profitable business in 2018. Niche sites, almost by definition, aren’t very popular. They appeal to a specific subgroup of internet users, and that group can be very small. These audiences are often intersectional; a website focusing on using yoga to treat major depression, for example, focuses on the intersection of people who are interested in yoga and people who are interested in the treatment of depression. A site that’s all about using assistive technology on the iPhone to help the elderly in their daily lives is also very intersectional. So is a site about tracking your diet with spreadsheets. These are the kinds of niche websites that don’t have broad appeal. And it’s easy to dismiss them as not as important, or not as successful, as more broadly focused sites that attract millions of readers. But there’s an important difference between the audiences at these sites. Regular visitors to niche sites are more likely to be very committed to those sites. Why? Because they answer exactly the questions that those people are asking. Let’s go back to the yoga-for-depression idea. If you regularly look for information on this topic, you might find a few articles here and there on yoga sites or depression sites. When you stumble across the yoga-for-depression site, though, you’ve found the exact resource you’re looking for (if the site is well-built and contains useful information, of course). It answers the questions you’re asking. It appeals to your interests. That direct appeal generates a lot of loyalty. And that’s why niche websites are so important. With the ease of website creation, you can get any ideas out there—and there’s someone looking for those ideas. That’s your audience, and they already want what you’re selling. Unfortunately, some of the most typical methods for monetizing websites are more difficult with niche topics. And if you’re not making money from your site, it’s going to be difficult to keep it up and running. Ad-placement services, for example, aren’t likely to provide you with much income, because you’re probably not drawing a high enough number of visitors. Ads are best used when you’re getting thousands of visitors to see and click on those ads. Your readers will be dedicated and very engaged, but there probably won’t be enough of them to make ad placement worth it. Affiliate links might work, but again, you might suffer a bit from the number of visitors you get. If everyone who visits your site buys a book or two that you recommend, that’s not going to add up to very much affiliate cash for you. Unless, of course, you’re suggesting that people buy very expensive things—this strategy can work, but it’s hard to pull off. Setting up an e-commerce business is hard, too. It takes a lot of work, and requires you to develop at least a few products that you then have to sell to your visitors. Of course, these methods can work. If you find the right audience and think carefully about how to monetize your website, you’ll find a way. But one strategy stands out above the rest, and doesn’t fall prey to many of the problems that the above methods do. That strategy is monetized video subscriptions. Folks at Cisco predict that 82% of all internet traffic will be video traffic by 2021. They also forecast that it would take a single individual more than five million years to watch all of the videos that will be transmitted over the internet in a single month. It’s an oft-cited statistic that YouTube is the second-largest search engine in the world. It’s clear that people are looking for video content. They want someone to both show and tell them the information they’re looking for, instead of having to read it. In 2015, 21% of survey respondents said they watch online videos to learn something new. 14% watch to pursue a hobby or interest, and 13% to learn or progress in a task. All of these point to a single conclusion: online video is huge, and it’s only going to get bigger. People look to videos online to help them solve problems, learn new information, and keep up with the things they’re interested in. When you combine the massive interest in online video with dedicated, highly interested individuals coming to your niche website, you have a winning proposition. All you need to do is offer them what they’re looking for. And in many cases, that comes in the form of a video subscription. 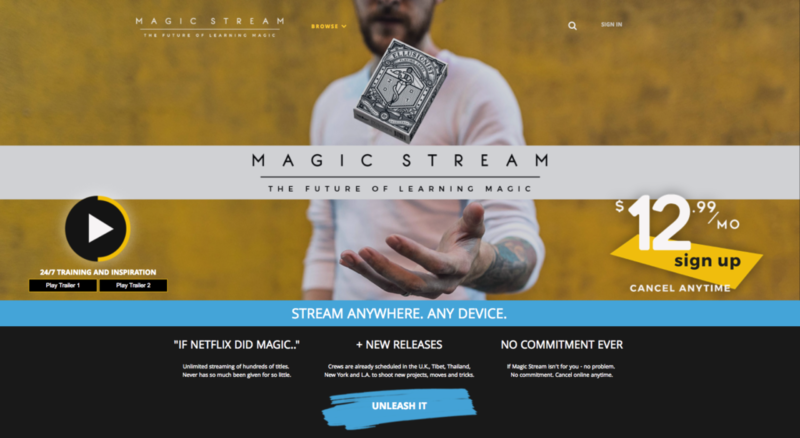 Take MagicStream, for example. Teaching magic is definitely done best with videos. But the people behind the site don’t want to just give away their tricks for free on YouTube. That’s why they offer a subscription service, where subscribers can pay $12.99 per month to watch videos that teach them various kinds of magic tricks. The best part? They have over 5,000 subscribers. That’s around $65,000 of monthly income. Of course, producing all of these videos isn’t cheap, nor is it easy. But that gives you an idea of the resources and revenue a site like this could be working with—even in what you might consider to be a relatively small niche. Or look at Tmilly.TV, a site that teaches viewers choreography to popular dance routines. This site only charges $9.99 per month, but they have over 8,000 subscribers. That’s a huge amount of revenue they’re bringing in, and it’s a very niche service. Both of these websites started by selling products and live events, but have since switched over to video subscription models. They haven’t gone back. There are tons of other niche websites out there using this strategy; you can pay a subscription fee to get access to videos on programming, parenting, hair styling, dog training, diving, and just about anything else you can think of. Video subscription is a great model because you don’t have to ask much of your customers; only $10 or $15 per month. But because your niche focus is likely to create loyal, dedicated visitors, they’ll almost certainly keep renewing their subscription. And once you have content on your site, it keeps earning money. Of course, you need to continue producing new video content, but that only adds to the value of your site. Having more videos and more subscribers means you can keep making the content that your readers value. It’s a win-win . . . for everyone. Now that you’ve seen why niche websites are important and how video subscriptions are a perfect way to monetize (and continually improve) them, you might be wondering how to get started down this path. 1. Decide on a niche. What knowledge do you have that people will find valuable? What unique take can you provide on a topic? Figuring out what you want to put out on the internet is a crucial first step. You can teach, entertain, inspire, help, or do anything else that you think an audience will value. If you have a unique take on something, share it. If you’re a good teacher, put that skill to work. Find something you’re passionate and knowledgeable about, and run with it. 2. Think about your audience. Just because you’ve decided to share your knowledge about quilting doesn’t mean you’re ready to go. You need to think about who’s going to be coming to your site. Do you want to cater to beginners? Advanced quilters? Quilting professionals? Or a bit of each? Be careful not to overreach with your potential audience. Be realistic about who will benefit from your site. And remember that you can always expand your offerings later. 3. Figure out what you’ll offer. There are many types of videos that you can offer in a subscription plan. Tutorials, meditations, lectures, interviews, Q&As, and anything else you can think of. But when you get started, you’ll want to focus on the videos that your audience is going to want the most. Because that’s what they’ll pay for. If you can, talk to someone who could be a prospective subscriber to your site and ask what they would find the most useful or valuable. You’ll want a high-quality camera, a good setup, and a lot of time to film and refilm your segments. It’s not easy to create a video worth paying for, and it will take a lot of practice. Once you’ve developed a style and figured out how to make a video that you think your audience will appreciate, keep going! While you’ll probably continue to film new videos all the time, you want enough when you get started to convince people to subscribe to your site. No one’s going to pay for a monthly subscription to get two or three videos. Aim for at least 10 to start, and be sure to let members know that you’ll be adding more on a regular basis. Finally, you’ll need to build your website. If you’re using Uscreen to sell your videos, you can use our built-in tools to design and customize your website with just a few clicks. It’s video-centric, and has all the features you need to get up and running. If you decide to use another platform, you’ll have to do some research, but most offer tools that make it easy. Video is getting more popular all the time, and there’s a nearly infinite number of profitable niches out there. Find the one that works for you, start filming, and you’ll be on your way to a fantastic website in 2018. Whether you want to try it as a hobby or you want to start moving toward a new career, now’s the time to get started! Have you built a niche website that you think video would work well on? Or do you have an idea for a cool niche website you want someone to build? Share your thoughts in the comments below! 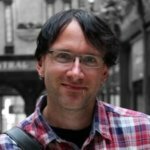 Dann is a long-time freelance writer with an interest in the intersection between technology and business. If there's a way to use technology to get more done in less time, he wants to hear about it. After a stint in the marketing and publishing world, he moved to covering these topics on a freelance basis and hasn't looked back. Making money on YouTube isn't as easy as it used to be, but we've got it down to a science! Here's an easy and smart guide to selling videos using YouTube. Having trouble staying consistent with your yoga classes? Maybe its time you considered bringing your yoga classes to you. Online yoga is becoming a huge trend these days because of how convenient and significantly cheaper they are. Of course, there's not a perfect solution — virtual yoga courses present their own challenges. Here are pros and cons of online yoga, as well as how to enjoy all only the pros.